Periodic Tables is an informal science gathering during which invited speakers share interesting, relevant science to the general public in an engaging and interactive way. Members of the local Triangle community are welcome to attend. 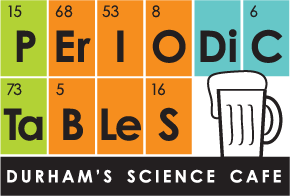 Periodic Tables is held monthly (generally on Tuesdays) from 7:00-8:00 p.m. at Motorco Music Hall, 723 Rigsbee Ave, Durham, NC 27701. Is there an admissions fee? Follow us on Facebook and Twitter to join the conversation and hear about updates. Coal Ash. Lead. Aging Infrastructure. Every drink of water is a risk: Where did it come from? How did it get there? What chemicals or microbes are in it? Who processed it and how well? Come listen to an interdisciplinary group of Duke University students showcase their creative projects, sharing insights they learned from communities and stakeholders across the state about the kinds of risks they encounter in their drinking water. This Periodic Tables presentation focuses on three different case studies that explore water and risk in North Carolina: lead contamination in Durham, coal ash impoundments in Belmont, and aging infrastructure in Orange County. Collectively, these case studies make visible the structural risks built into our politics, laws, and infrastructure. In 1700, a young man named John Lawson left London and landed in Charleston, South Carolina, hoping to make a name for himself. For reasons unknown, he soon undertook a two-month journey through the still-mysterious Carolina backcountry. His travels yielded A New Voyage to Carolina in 1709, a book rich with observations about the region’s environment and Indigenous people; historians and scientists today still refer to his descriptions of flora, fauna, inhabitants, and geography. A little more than 300 years later, science and nature writer Scott Huler retraced Lawson’s route by foot and canoe, which he recounts in his new book, A Delicious Country: Rediscovering the Carolinas along the Route of John Lawson’s 1700 Expedition. We share our bodies with trillions of bacteria and other microbes—together they make up the human microbiome. Duke’s Lawrence David will describe how studies of gut microbiomes, including his own, have shaped our understanding of nutrition, as well as how humans and bacteria co-evolved. Lawrence David is an Assistant Professor of Molecular Genetics and Microbiology at Duke University. His lab seeks to understand, predict, and manipulate how the microorganisms that live in and on humans behave over time. In 1918, the Spanish flu infected one-third of the planet (500 million people). Of these, as many as 50 million died. For all of science’s advances in combatting infectious disease, we still have trouble protecting people against flu. Are we ready for the next pandemic? Free admission and no reservations required. Paywall: The Business of Scholarship is a new documentary that explores the unmet need for open access to research and science. The film questions the rationale behind the highly profitable, $25.2-billion-a-year business model whereby academic publishers sell access to research that has largely been funded by taxpayers. Presented by Duke University Science and Society, Duke University Libraries, Advancing Scientific Integrity, Services and Training (ASIST), the Office of the Vice Provost for Interdisciplinary Studies, and the Office of the Vice Provost for the Arts – Duke Arts. Under our veneer of rigorous rationality, scientists are not merely seekers, but thrill seekers with more in common with rock and roll musicians than you might think. Biologist and author Sean B. Carroll will talk about how anyone can get—or at least share—in those thrills. Sean B. Carroll is Vice President for Science Education at the Howard Hughes Medical Institute and Professor of Biology at the University of Maryland. His books include: Endless Forms Most Beautiful: The New Science of Evo Devo and the Making of the Animal Kingdom; The Serengeti Rules: The Quest to Discover How Life Works and Why It Matters; and Brave Genius: A Scientist, a Philosopher, and Their Daring Adventures from the French Resistance to the Nobel Prize. Join us as we kick off our 2018-2019 Periodic Tables season! Most aliens we see in Star Trek are not only carbon- and water-based, they look a lot like us. Duke’s Mohamed Noor uses evolutionary concepts to find the biological basis for why the Star Trek universe might be so chock full of humanoids. In his research, Duke professor of biology Mohamed Noor strives to understand what genetic changes contribute to the formation of new species. This Periodic Tables will celebrate the publication of his new book, Live Long and Evolve: What Star Trek Can Teach Us about Evolution, Genetics, and Life on Other Worlds. Therapies that regenerate damaged or diseased tissue have great potential to transform medicine. But are they more hype than reality? Duke regenerative biologist Ken Poss will discuss the latest strategies to regenerate muscle lost after a heart attack, and how “super-regenerator” zebrafish have helped us understand the innate regenerative abilities of our tissues. Kenneth Poss, PhD, is a James B. Duke Professor of Cell Biology, Biology, and Medicine at Duke University, and director of Regeneration Next, a cross-cutting Duke initiative on science and medicine for tissue regeneration. Who bears legal responsibility for interpreting a genetic test correctly or making sure the information is kept private? What rights do patients and consumers have? UNC’s William Rand Kenan Jr. Professor of Law John Conley explores recent court cases that deal directly with these sorts of questions. Dan Costa, Sc.D., is recently retired from EPA, having served as the National Program Director for the Air Climate & Energy Research Program in the Office of Research and Development. He will discuss how policy–with its many imperfect drivers—is rooted in real science and how this has improved environmental public health. Alzheimer’s disease is poised to become the next great public health threat. As baby boomers begin to wrestle with the possibility of development of the disease, families of Alzheimer’s patients are faced with a daunting set of tasks and decisions, with limited hope of effective medical interventions in the short term. Join us for a screening of Alive Inside, a documentary previously featured in the Full Frame Festival which explores dementia patients connecting with something more powerful than the depths of the disease – music. On February 20th, join us for a screening of the film and a conversation on the powerful connection between music and memory and what promise it may hold for the future. Interested in donating an iPod to patients suffering from Alzheimer’s and dementia? Learn more at Music and Memory. As we all know, the internet is a mixed blessing: instant access to knowledge comes with worries about privacy, information overload, truth and verifiability. Where do we get our news? Where should we? Is it safe to use a debit card online. And now even the instant access may not be so instant—how will the rollback of net neutrality affect us personally? Ken Rogerson is an associate professor of the practice in Duke University’s Sanford School of Public Policy. He is the director of the Policy Journalism and Media Studies Certificate program. 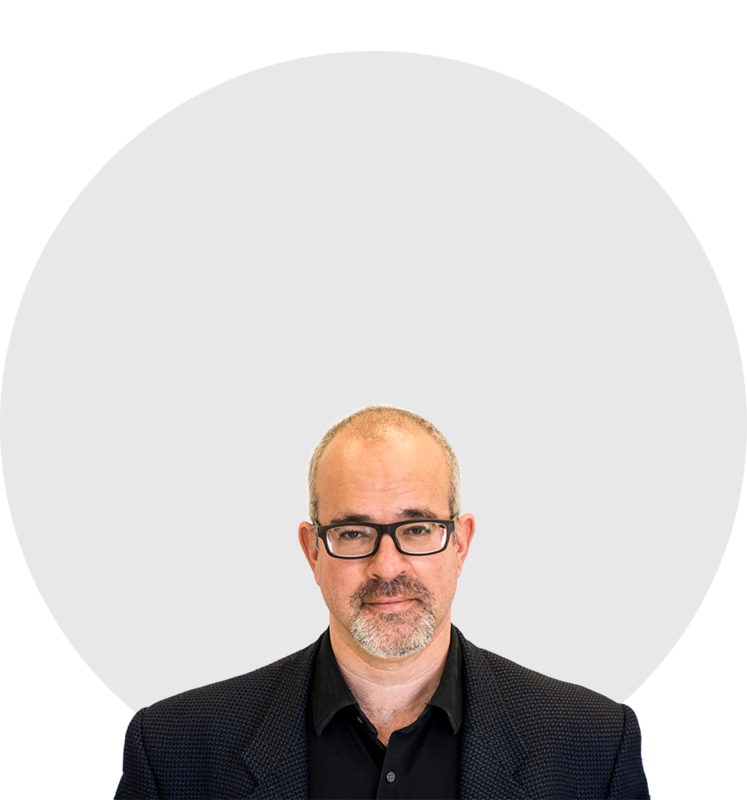 He currently teaches and does research on technology policy, news media and international communications. Join Bronwen Dickey, author of Pit Bull: The Battle over an American Icon, and NC State veterinarian and animal welfare expert Kelli Ferris for a discussion about breeds, behaviors and humans’ complicated relationships with their canine companions. The US is quickly becoming an out-of-pocket healthcare system, with high co-pays and even higher deductibles. Duke’s Dr. Peter Ubel will discuss the economics and politics of why this is happening, and what we can do to keep these out-of-pocket expenses from bankrupting those of us who develop serious illnesses. Dr. Peter Ubel is the Madge and Dennis T. McLawhorn University Professor of Business, Public Policy and Medicine at Duke University. He is a physician and behavioral scientist whose research and writing explore the mixture of rational and irrational forces that affect our health, our happiness and the way our society functions. Habits have many upsides, though old habits—and often, bad habits—die hard. Duke Neurologist Nicole Calakos will discuss the good, the bad and the ugly of habits and what changes in our brain when we develop them. Nicole Calakos, MD, PhD is an Associate Professor of Neurology and Neurobiology at Duke University. Her laboratory studies how parts of the brain undergo long-lasting changes in response to experience and how diseases disrupt this process. Join us as we kick off our 2017-2018 Periodic Tables season! Duke Biology’s Sönke Johnsen describes the crooked path that took him from science to art and back to science, and from landlubber to the explorer at the bottom of the ocean. Along the way he’s tried to understand the remarkable ways in which sea creatures use light and color to their advantage…and our amazement. Blazing new trails and exploring new territory in science. Listen to 5 true, personal stories, told live on stage. This show is produced in partnership with the NC State Leadership in Public Science Cluster and the Duke Initiative for Science & Society, with support from the Burroughs Wellcome Fund, the NC Science Festival, the NC State College of Sciences and the NC State College of Humanities and Social Sciences. For decades, families with undiagnosed genetic diseases went from specialist to specialist as they searched in vain for answers. Now, thanks to DNA sequencing, it’s possible to read the more than 20,000 genes in the human genome at once and to begin to find those answers. But what do they mean? How do they affect they way these families care for their children (and each other) and imagine their futures? Do they inspire hope or despair? RAREFIED chronicles the difficult, unexpected and moving journeys of ten such families and explores both the power and limits of genetic knowledge. Society’s “miracle drugs” are failing. Superbugs proliferate. Are we losing the battle against antibiotic resistance? This doesn’t have to be the case, says David McAdams, professor of business administration and economics at The Fuqua School of Business and Duke’s Department of Economics. Amyotrophic lateral sclerosis (ALS or Lou Gehrig’s disease) is an incurable degenerative disease of the motor nerves, resulting in rapidly progressive disability and shortened survival. There are seemingly impossible stories on the Internet of people recovering from this disease, sometimes in association with their use of an alternative therapy such as energy healing. What if some of these “ALS reversals” are real? Dr. Richard Bedlack is Associate Professor of Medicine/Neurology at Duke, Director of the Duke ALS Clinic, and Chief of Neurology at the Durham Veterans Affairs Medical Center. Dr. Brian Hare is an associate professor of evolutionary anthropology at Duke University in North Carolina and a member of the Center for Cognitive Neuroscience, which is a division of the Duke Institute for Brain Sciences. Hare is frequently invited to give lectures on his research on dog intelligence. Vanessa Woods is a New York Times Bestselling author, researcher and journalist. She is the author of the New York Times Bestseller The Genius of Dogs (Dutton 2013), and Bonobo Handshake (Gotham 2010), which won the Thomas Lowell Award for non fiction. Bronwen Dickey is a contributing editor at The Oxford American and the author of Pit Bull: The Battle over an American Icon (Alfred A. Knopf, 2016). In 2009 she received a first-place Lowell Thomas Award in travel journalism and a residency grant from the MacDowell Colony. Cat Warren, author of “What the Dog Knows,” is a university professor and former journalist. Warren discovers story after story that proves the remarkable capabilities—as well as the very real limits—of working dogs and their human partners. Researchers at N.C. State are busting science out of the lab and into the public sphere. Learn how, why, and where they’re headed next. Dr. Holly Menninger is director of public science for the College of Sciences at N.C. State. Fear continues to consume our daily lives: Fear of cancer, fear of crime, and other different pathways that ultimately lead us to death. How do we minimize its looming presence? And how do we do it with science? Xiaoyin “Sara” Jiang, MD, of Duke Health, Amber Beckley, PhD, Marie Curie Postdoctoral Fellow at Duke, Nrupen Bhavsar, PhD, MPH, of Duke University School of Medicine, and Michael Clamann, PhD, of Duke Robotics and Science & Society’s Science Policy Tracking Program will discuss different ways science can alleviate the things we fear. New tools for identification of missing migrants crossing the US-Mexico border includes isotopes, DNA, cranial measurements, and GPS mapping. Kate Spradley, PhD, Associate Professor, Department of Anthropology, Texas State University, and Chelsey Juarez, PhD, Assistant Professor, Department of Anthropology and Sociology, NC State University, will share stories on the scientific efforts to identify the unknown dead. Has this election cycle finally ushered in the Post-Factual Age? How can a conscientious fact-checker hope to keep up? As we head toward the finish line, Bill Adair, founder of the Pulitzer Prize-winning website PolitiFact and Knight Professor of the Practice of Journalism and Public Policy at Duke University, will help make sense of a truth-challenged season. In 2014, Juliano Pinto, a paraplegic man, kicked the ceremonial first ball at the 2014 World Cup. How was he able to do this? He used his brain to control an exoskeleton. Duke University Distinguished Professor of Neuroscience Miguel Nicolelis, the pioneering scientist behind this remarkable technology, will discuss the science behind brain-machine interfaces and their promise not only for prosthetics, but for understanding and treating a wide range of neurological disorders, from Parkinson’s disease to epilepsy. Egg donation, organ transplants, surrogate motherhood. When we exchange human body parts (or the use of those body parts), what is the nature of those relationships? Are we exchanging gifts, engaging in commerce…or something else? Kim Krawiec, the Kathrine Robinson Everett Professor of Law at Duke University, will discuss how we—and the law—think about these sorts of exchanges. It’s clear that you have a mind, but what about a cow or a computer? Can they think and feel like you do? Join us as researcher and author, Dr. Kurt Gray, takes us through the moral implications of how we perceive the mind. Dr. Gray’s research has been featured in the NYTimes, two TEDx talks, and the mass-market book The Mind Club. Learn more about Dr. Gray’s work at the Mind Perception, and Morality (MPM) Lab. Join us for this Brain Awareness Week edition of Periodic Tables as we present an informal, yet spirited gathering on new ways to think about your brain. Q&A will follow short talks on vision and your brain, context and memory, brain enhancement ethics, and thinking about thinking. Talks by local experts: professors Greg Appelbaum, Tobias Egner, Nita Farahany, and Marc Sommer. Presented in partnership by the Duke Initiative for Science & Society and the Duke Institute for Brain Sciences. Rising demand, sick cacao trees and harsh economic realities mean a potential chocolate shortage of one million metric tons by 2020. How can science help guarantee that humanity gets its uninterrupted chocolate fix? Lloyd Timberlake, a Yale University graduate, is a consultant and freelance writer on issues of environment, business development, and sustainable development. Evolution is considered the foundation for the study of life, yet polls suggest only 1 out of 5 Americans accept it as fact. Professor Noor will discuss evolution, the evidence for it, what it means for humanity, and how it can affect our health. Mohamed Noor is the Earl D. McLean Professor and Chair of the Duke Department of Biology. His laboratory works to understand how genetic changes contribute to the formation of new species. In addition to performing as the Science Comedian, Brian Malow has produced science videos for Time Magazine and audio pieces for Neil deGrasse Tyson’s radio show. Malow has been a blogger for Scientific American and currently works in science communications at the NC Museum of Natural Sciences, where, among other things, he hosts a weekly science cafe. Grab a beer and learn about the neuroscience of criminal justice reform, the burgeoning wearable health technology market, and more as we invite four guest speakers to give us the inside scoop on their research. Snot. Phlegm. Sputum. Egg Whites. All of these are mucus by a different name. What is this wondrous substance that protects, feeds, hydrates, transports slugs, and is used as a devious and deadly weapon? It is a tale of biological evolution, of serious health problems, of discovery, and innovation. Bring your tears, sneezes, and drool to this talk, which will leave you forever looking into your tissues. Social media platforms routinely remove terms from their search results and highlight others meant to promote their own interests. Given that billions of us now rely on proprietary platforms to access information, what are the implications of this sort of filtering? How does it affect our perceptions of ourselves and our behavior as employers, as citizens, and as a species? Dr. Zeynep Tufekci is an assistant professor at the University of North Carolina at Chapel Hill School of Information and Library Science and an adjunct professor in the Department of Sociology. She is also a fellow at the Center for Information Technology at Princeton University and a fellow at Harvard University’s Berkman Center for Internet and Society. We can now genetically engineer mosquitoes so that they won’t transmit malaria or dengue. When introduced into the wild, they can work to decrease disease-carrying populations. Is this the future of disease control? Although genetic advances have great potential benefit, biotechnology is moving so fast that governing institutions can’t keep pace, and we lack the structure to evaluate the ethical, ecological, and policy issues. Professor Jennifer Kuzma will discuss the development of engineered strains of pests that are specifically designed to “drive” their genes into natural and human-modified environments. Join the discussion of this new and under-explored area where advanced biotechnology meets society. Jennifer Kuzma, Ph.D. is the Goodnight-NCGSK Foundation Distinguished Professor in the School of Public and International Affairs and co-Director of the Genetic Engineering and Society Center at North Carolina State University. She has worked in biotechnology and governance for over 20 years, and published over 90 scholarly articles and reports in this area. Driverless vehicles zoom down the streets. Drones soar through the air. Robots operate in hospitals around the world. Rather than relying on humans to drive, perform military operations, or do surgery, we increasingly turn to robotic systems. Using robotics successfully and safely will require coordination and teamwork between humans and machines. With this technological shift, questions about the social and ethical implications of human-robot interactions abound. Professor Missy Cummings, former U.S. Navy fighter pilot and the director of the Duke Humans and Anatomy Laboratory at Duke University, will discuss the rise of drones and the future of robotic systems. Dan Ariely believes that some level of inequality is very important for society. The opportunity to reach higher levels of achievement and progress within society is one of the basic motivators of human behavior. He will explore how this principle reconciles with the impact of more or less inequality and the ideal level of inequality a society should maintain to alleviate its detrimental effects, while cultivating its positive aspects. Dr. Ariely is a professor of psychology and behavioral economics at Duke and the founder of the Center for Advanced Hindsight. He is the author of the two New York Times Best Sellers, Predictably Irrational and The Upside of Irrationality. His TED Talks have been watched by millions of people. It has been just over a decade since the human genome was sequenced, and genomics is beginning to make its way into the most personal aspects of our lives. Genome sequencing creates the potential for parents to choose eggs and sperm to “design” their children or to ascertain at birth the life-time risk of developing such disorders as cancer, Alzheimer’s, or heart disease. Its application will have many benefits for disease prevention and personalizing medical treatment. However, in a broader context, genomic analysis may eventually inform knowledge of behavioral traits, such as the proclivity for depression, religiosity, or anti-social behavior. Some of these data will be helpful, most will be mysterious, and some will reveal information that many individuals may wish not to know. This session will be an open discussion to explore how genomics can contribute to society but also create new risks and challenges. James P. Evans, MD, PhD, is the Bryson Distinguished Professor of Genetics and Medicine at The University of North Carolina at Chapel Hill. How do we heal the human heart? What more can we learn about it? Rob Dunn, author of The Man Who Touched His Own Heart, will share stories of the most important recent discoveries in the biology of the human heart. He will also show us how the discoveries likely to save our hearts come from basic biology, such as natural history and evolution—and not from innovations in medicine and surgery. Rob Dunn is an evolutionary biologist in the Department of Biological Sciences at North Carolina State University. His research focuses on the ecology and evolution of the daily life of societies, be they those of humans or ants. His work often engages the public, either directly in participatory science (www.yourwildlife.org), or through telling stories about the process of science.